Charly Musonda rant on Instagram will not change anything at Chelsea for him just yet. 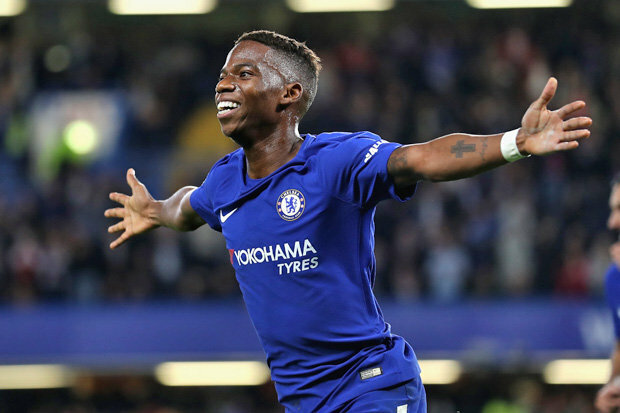 Charly Musonda took to Instagram to vent his frustrations recently and has posted a message of frustration which is seemingly aimed at Antonio Conte. His post has caught the attention of Chelsea & Belgium fans around the world but most importantly also by the British media who have jumped on the opportunity to have yet another pop at Antonio Conte and at Chelsea. Everyone has their opinions on our loan policy, some agree with the policy, some do not but when you see the likes of Andreas Christensen go out and play for two years in the Bundesliga and the Champions League to come back here looking a very composed, classy defender who more than makes the grade to make that step up to the first team, in my view it works. Now we have to be honest and understand that players such as Christensen are few and far between with most going out on loan to find their level of football and move on from Chelsea when their contracts expire. How many of those that have left our club that had come through the academy, now playing regular football, would actually feature ahead of the Chelsea player who is currently their position? You would be hard pushed to find just one in my view. Charly Musonda has the potential to be another Andreas Christensen but as yet, well away from our first team on a regular basis. He isn't strong enough in my view and needs to bulk up to increase his strength. Look at his physique compared to that of Eden Hazard for example. Hazard is strong, powerful and knows how to use his low centre of gravity to hold of challenges during the game. Against Nottingham Forest Musonda was literally thrown off of the ball when put under pressure. As I say, he has a serious talent but his rant isn't going to help his current situation and would more than likely make it worse with another loan move on the horizon in January.